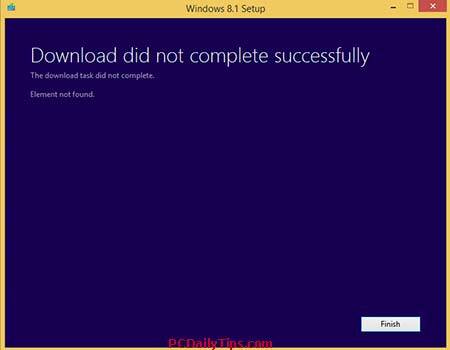 So because I am a typical of person who gets more curious after trying something which doesn’t work, I tried and tried again, also looking for some good resources on the internet, I finally was able to create the Windows 8.1 ISO files using this method. Basically, all what you need is the 2 set up files for Win 8 and 8.1 (they’re in exe formats) that you can download from Microsoft website, and your Windows 8 key. The Win 8 product key has to be the valid one. 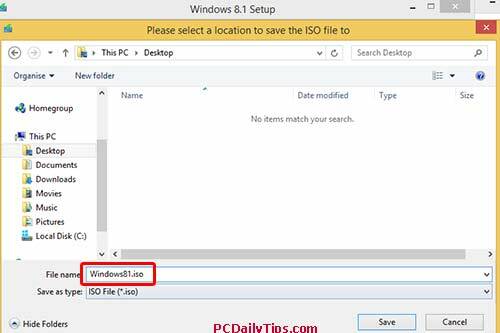 So in short, we will create and have the Windows 8.1 ISO file, using your Windows 8 key, then you can install Windows 8.1 from the ISO file, you will still need to activate after the installation, as shown here. Windows 8 setup, called, Windows8-Setup.exe from official website. I found these 2 URLs from here. 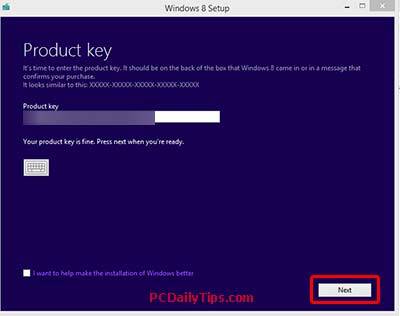 Enter your valid Windows 8 key. 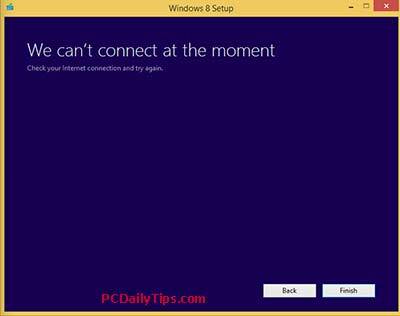 If you encounter getting an error message that says, “We can’t connect at the moment” – Check your Internet connection and try again, it can mean, your key isn’t valid or blocked by Microsoft. So make sure it’s your own key, and based on my experience, try not to use this key for many computers (even your own computer) because it will be blocked after many usages. Once your key is working, you will see what kind of Windows 8 files you can download, in my case, I have Windows 8 Pro. Click “Next” button. 3. 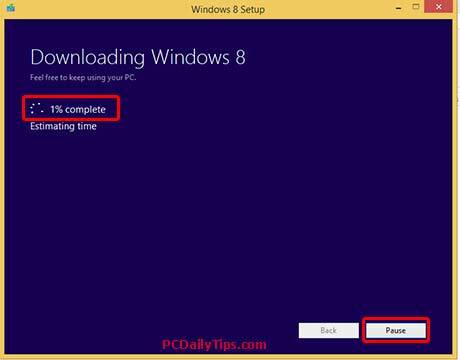 When it says, “Downloading Windows 8” on 1% complete, click “Pause” button. Close the “Windows 8 Setup” dialog box. 4. 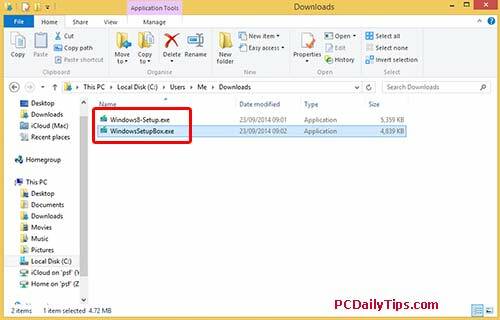 Now, double click to open the WindowsSetupBox.exe to download the 8.1 files. If it shows, “Download did not complete successfully” like mine, click “Finish” to close the dialog box. 5. After the “Checking the download” and “Getting files ready” process done, you will see the 3 options like in this screenshot. 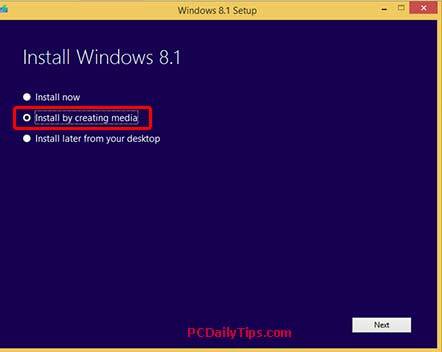 Choose the second, which “Install by creating media” because we want to have the .ISO file. Click “Next”. I saved mine on Desktop, with the name Windows81.iso. That’s it, after all the process is done, you will be able to have the iso file. 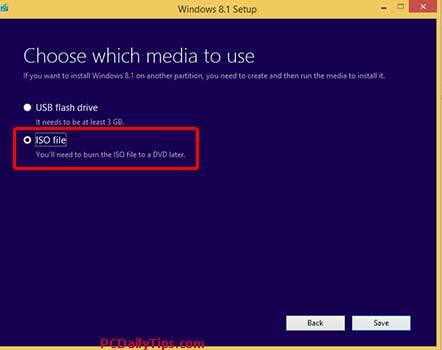 Then, you can install the new OS using this ISO. Check out my latest tips about this OS.